Who loves the sailing and boating lifestyle? All of us, right? So let’s all do our part to support the first annual Boat Maryland Week, April 26 to May 5. 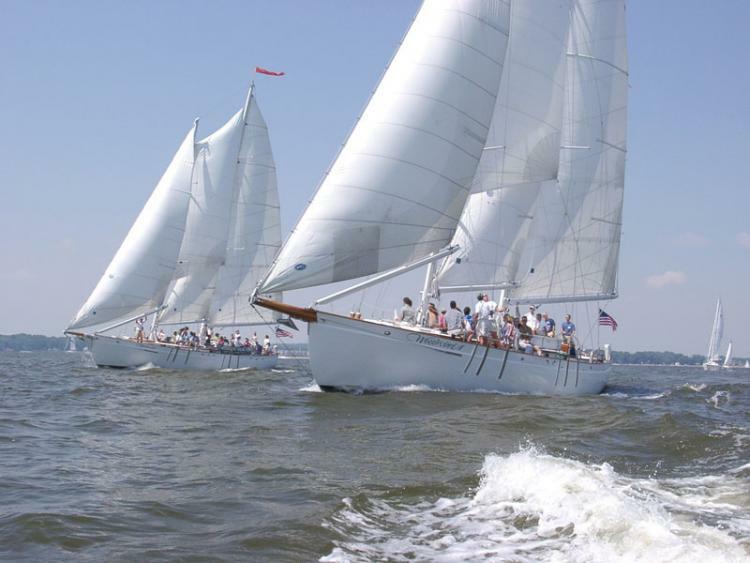 The 10-day celebration will highlight the beginning of Maryland’s boating season and the state’s deeply-rooted ties to maritime history. Organizers plan to offer fun events, informative classes, and exhibits celebrating the area’s maritime heritage. 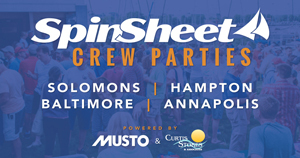 Gather your crew for the kick-off party at Annapolis City Dock Friday, April 26. The kick-off is open to all boat lovers, free of charge. 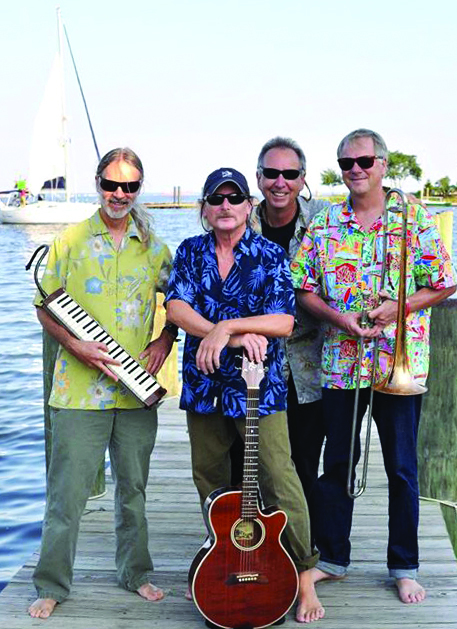 Celebrate the season with a live performance by the local Eastport Oyster Boys and a full cash bar at Latitude 38 Restaurant (12 Dock Street), from 6 to 10 p.m. The best wat to celebrate Boat Maryland Week is to get out on the water. 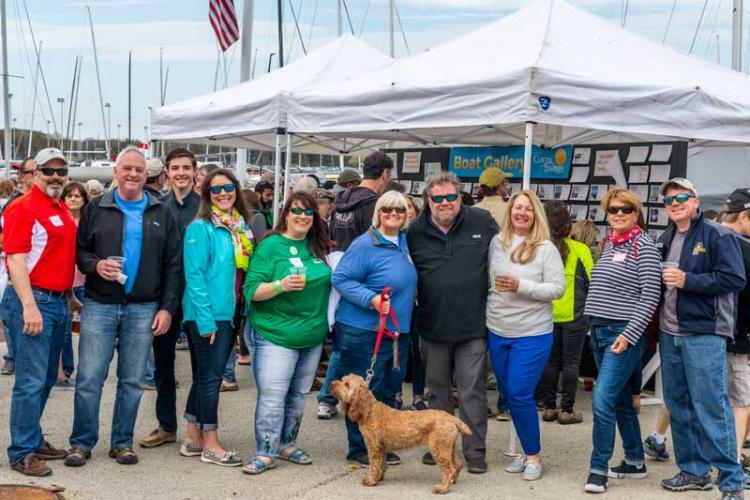 Maryland businesses and community organizations offer many ways to go boating. Anglers can book a charter fishing trip with an experienced captain. Would-be sailors can try a sailing class at one of the many sailing schools. Power Squadrons and the Coast Guard Auxiliary offer safe boater classes. Annapolis Electric Boat Rentals offers comfortable small boats perfect for exploring local creeks. aebrentals.com. 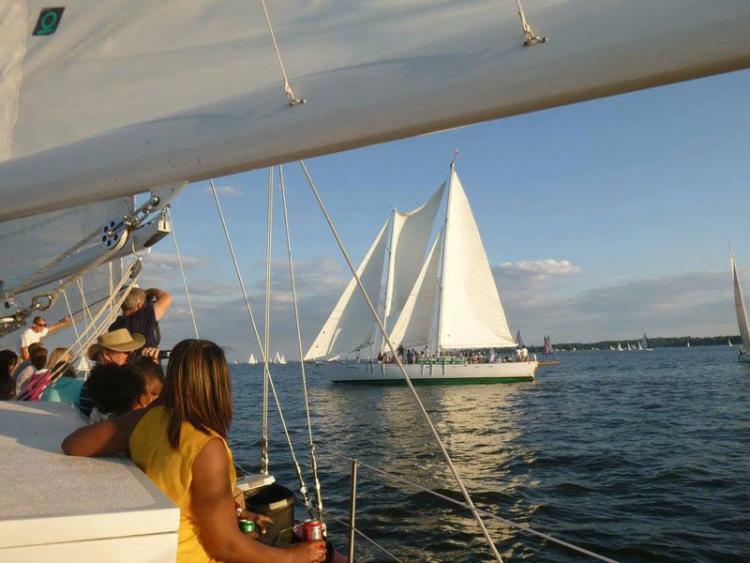 The Schooner Woodwind has special sailors’ delight cocktail cruises Friday and Saturday nights, as well as acoustic sunset tours the first weekend of May. Paddling is another inexpensive and easy way to spend time on the water. Kayaks and stand up paddle boards (SUP) may be rented by the hour or day. 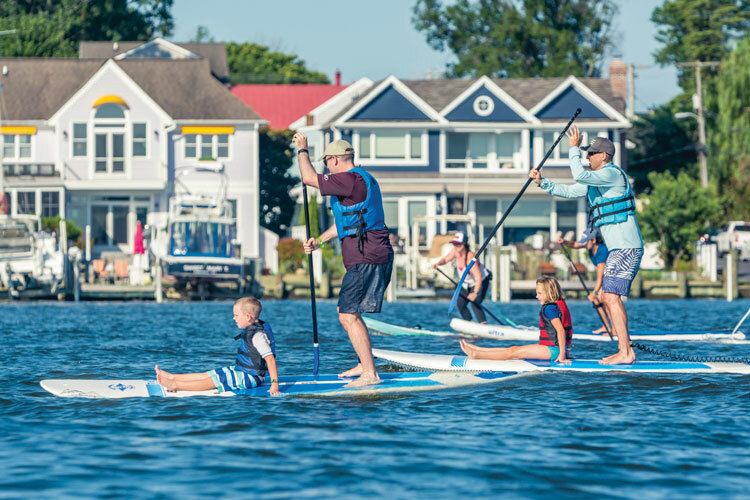 Most paddling shops offer guided trips, lessons, and SUP race training, such as Capital SUP in Annapolis. Kayak fishing is growing in popularity; ask your outfitter it they rent fishing equipment along with kayak rentals. Wednesday, May 1, the storied Annapolis Wednesday Night Races unfold. Each week, roughly 130 sailboats race out of Annapolis Harbor. The finish line is just before the Eastport bridge, delighting onlookers. Spectators can watch from local restaurants, from City Dock, and along Spa Creek. This is also a good week to check out Maryland’s maritime heritage. Learn more about Annapolis’s maritime history by visiting the Annapolis Maritime Museum, in the Eastport section of town. During Boat Maryland Week, the museum will show a temporary exhibit on building the famous Trumpy yachts. Enjoy nautical art at many local galleries, including the Annapolis Marine Art Gallery located at City Dock. 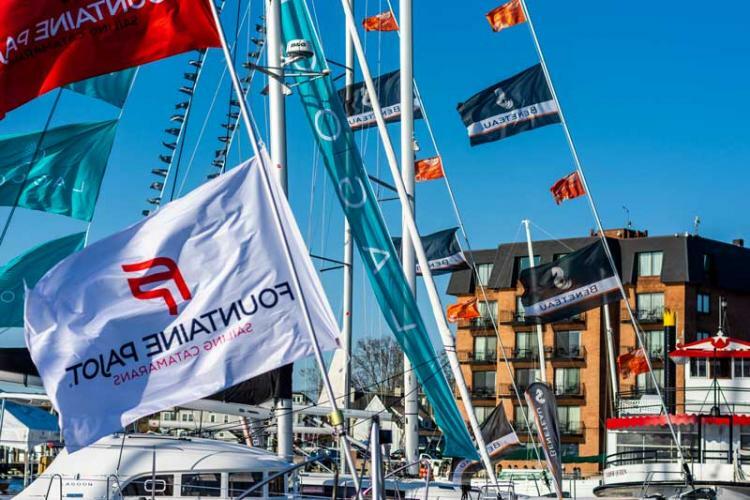 The Annapolis Spring Sailboat Show runs April 26-28 and features new and brokerage boats, including catamarans, monohulls, racing hulls, and luxury cruisers. 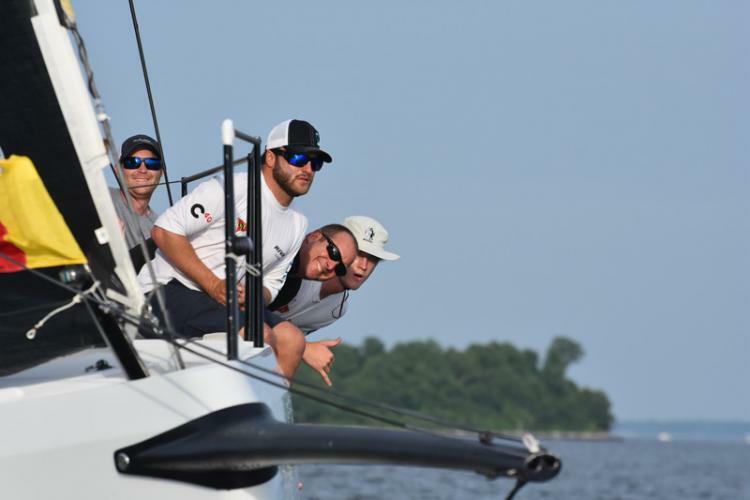 The week wraps up with the Helly Hansen NOOD Regatta, hosted by Annapolis Yacht Club May 3-5. Come view one-design racing at its finest, as we welcome world class sailors for three days of exciting, high-level competition. Click here for more Boat Maryland Week details.